The Society seeks to promote interest in, and knowledge of, local history in general and the history of Keyworth and neighbouring parishes in particular. They do this through monthly lectures, visits, links with other local history groups, and through individual and group research. The Society has a membership of about a hundred and was formed in 1993. It has published three books, a number of booklets and continues to produce a quarterly Newsletter. Meetings are on the first Friday of each month at 7.30pm in the Keyworth Village Hall. A Potted History of Plumtree. However, as of August 2016 these articles are no longer accessible. Founded in 1899 and originally dedicated to Queen Victoria, the VCH is an encyclopaedic record of England's places and people from earliest times to the present day. The Victoria County History website contains authoritative texts on Plumtree (as well as Normanton-on-the Wolds and Clipston) written by local historian Sheila Leeds. Although these are currently works in progress, they can be accessed by selecting Counties from the site’s home page and then clicking on Nottinghamshire. The Notts Heritage Gateway is designed to provide a guide to the heritage resources of the county, and a history of Nottinghamshire featuring the latest research. The information provided by the Gateway is arranged through a series of research pathways, organised into the following groups: places, people, themes and events. The pathways provide users with a brief overview of a subject area and a list of key resources for further research, arranged by type of source material. 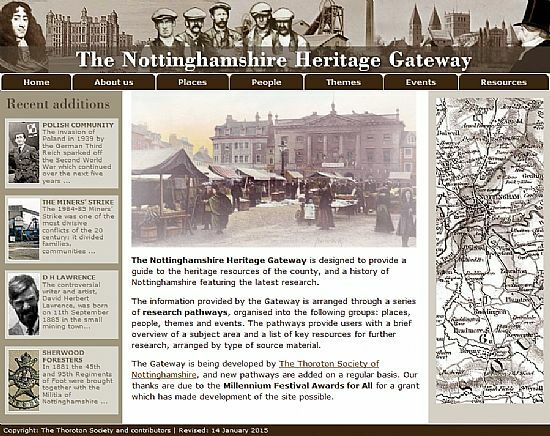 The Gateway is being developed by The Thoroton Society of Nottinghamshire, and new pathways are added on a regular basis. 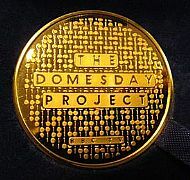 In 1986, 900 years after William the Conqueror’s original Domesday Book, the BBC published The Domesday Project, for which over a million people (including schoolchildren and members of the WI) recorded a digital snapshot of the entire country using the emerging computer technology. Here’s what was recorded about Plumtree and the surrounding villages in 1985/1986: Plumtree's Domesday record. 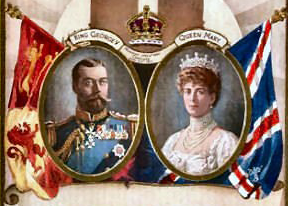 The coronation of King George the fifth took place on 22nd June 1911 in Westminster Abbey. On 27th June the same year, Plumtree held its own celebrations to mark the occasion. This took the form of sporting events – mainly races (including a 'Tune Whistling Race'), terminating with the obligatory tug of war. The activities took place on a field on Station Road, part of Chestnut Farm. Thereafter, the field became known as 'Coronation Field'. In June 2012, The Molekats, a local history group, conducted a thorough investigation of Coronation Field and published their findings in a field survey report. Click here to see the report: Coronation Field Report. Note that this takes the form of a large pdf file, which may take a few seconds to download.